So excited to share this trailer, the original Independence Day film is one of those movies I never grow tired of watching every time it's on TV. Can't wait to see what happens in the next installment. Today we celebrate the first trailer for INDEPENDENCE DAY: RESURGENCE! See Liam Hemsworth, Jeff Goldblum, Bill Pullman, Judd Hirsch, Vivica A. Fox, Brent Spiner, Charlotte Gainsbourg, Jessie Usher, Maika Monroe, Angelababy, William Fichtner, and Sela Ward in this epic next chapter. 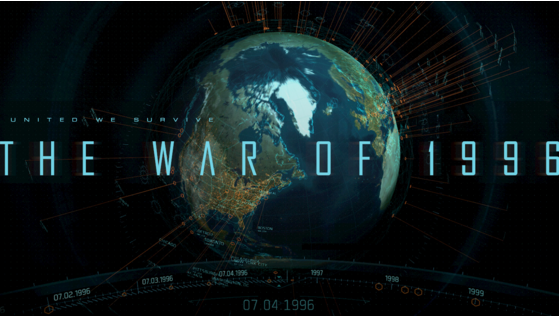 Check out the trailer and then head to Warof1996.com for an interactive look back on the key developments and important moments since humanity's greatest victory, from the rebuilding of our cities to the establishment of the Moon base.